Dan Davis has made 10 good tackles so far this game. This is dangerous for the defence as Paul Asquith bursts through to advance the Scarlets attack. Joe Ford hits the right post with the conversion, failing to add the two points. The pressure has finally told as Michael Fitzgerald scores from close range. A gap opened in the defence and George Worth took full advantage. The defensive line has been broken as Valentino Mapapalangi goes through the gap. Joe Ford has hooked the conversion to the left of the posts. Scarlets have won 100 rucks so far this game. Leicester are stopped just a few metres from the try line but Will Evans picks up from the base of the ruck to score the try. What a run here by Jordan Olowofela as they gets over the gainline!. Leicester decide to make a substitution, with Sam Aspland-Robinson getting some game time. Leicester decide to make a substitution, with Gareth Owen being replaced. Matt Toomua has made 10 good tackles so far this game. Hadleigh Parkes played a key part in that try. 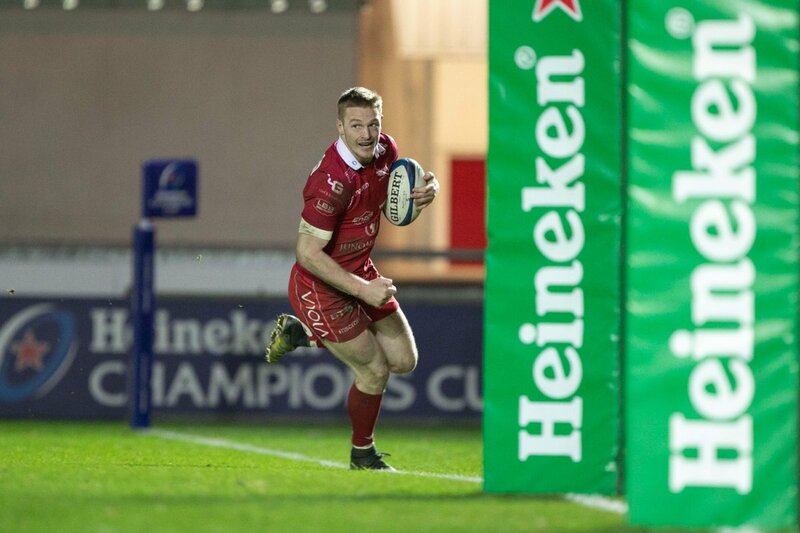 A series of passes by Scarlets results in a try for Steff Evans. Scarlets make a substitution with Marc Jones coming on. Scarlets make a substitution with Ryan Elias coming off. Scarlets sub Tom Price comes onto the field. Josh Helps departs for Scarlets. Kieran Hardy comes on for Scarlets. Gareth Davies leaves the field. Scarlets decide to make a substitution, with Ioan Nicholas getting some game time. Scarlets decide to make a substitution, with Kieron Fonotia being replaced. Will Evans has made 10 good tackles so far this game. Leicester make a substitution with Facundo Gigena coming on. Scarlets sub Wyn Jones comes onto the field. Rob Evans departs for Scarlets. That's a great try assist by Kieron Fonotia. Fabulous play by Scarlets has led to Kieron Fonotia being able to wriggle through a gap. Trouble here as Hadleigh Parkes breaches the defence. Dan Jones converts the try. Rob Evans scores the try from close range. Ross McMillan comes on for Leicester. Jake Kerr leaves the field. This is dangerous for the defence as Gareth Davies bursts through to advance the Scarlets attack. A gap opened in the defence and Ken Owens took full advantage. Gareth Owen has made 10 good tackles so far this game. A stunning solo try from Ken Owens. Dan Jones has hooked the conversion to the right of the posts. Scarlets are only a few metres out, surely they must score! And they do with Rob Evans touching down. 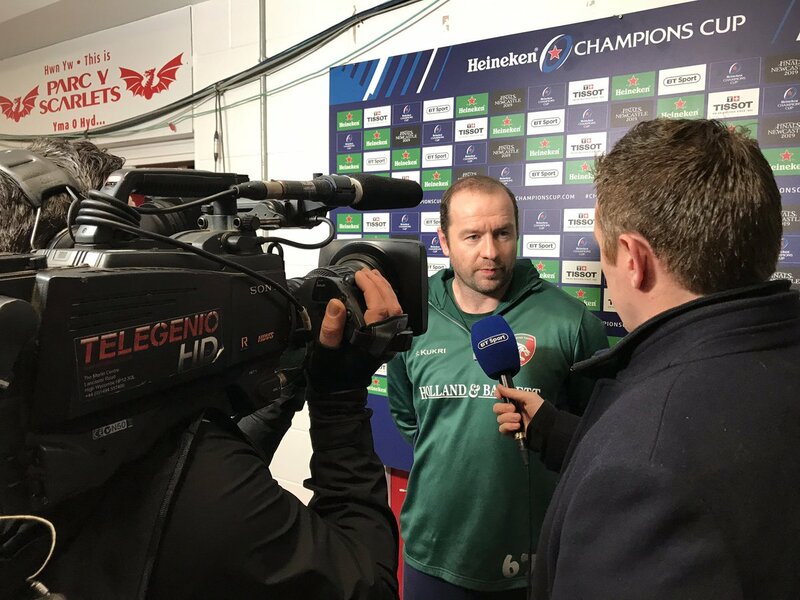 🎥 Ben White chatted with LTTV following tonight's #ChampionsCup loss to Scarlets. Diolch i pawb sy’n wedi teithio lawr! 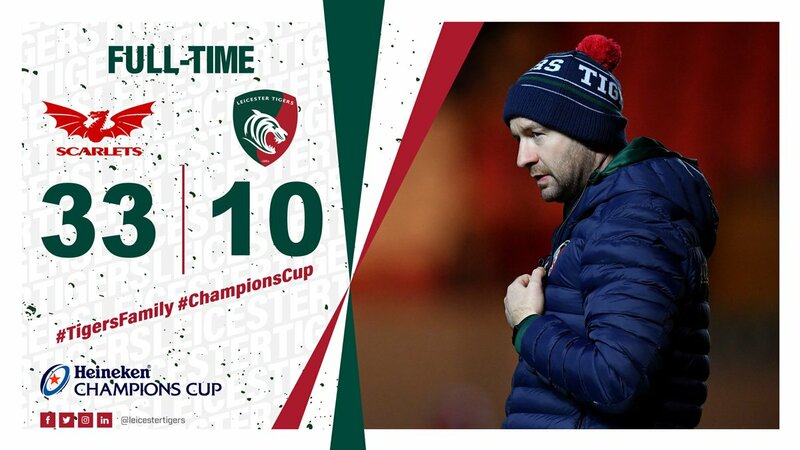 76’ Leicester Tigers add a second try in the closing minutes. 76' TRY - Mike Fitzgerald ! 74' What a try saving tackle from @iowznicks! 67' TRY - @Will_Evans69 !! 66' Tigers back on the attack in Scarlets territory looking for their first points of the evening. 64' @dinky_jones adds the conversion and he's replaced by @steffhuges. 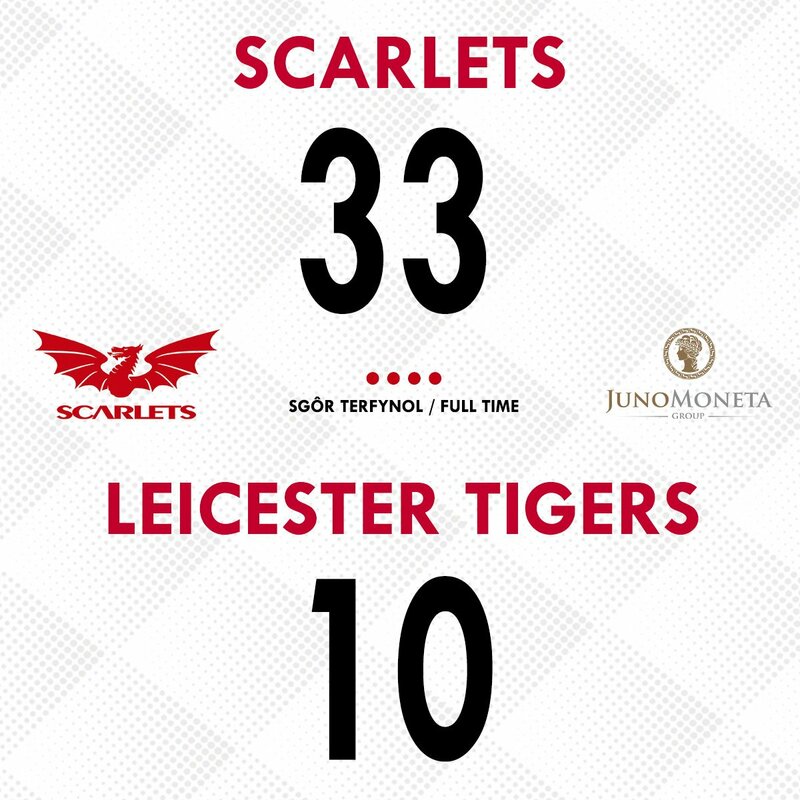 Scarlets 33 Leicester Tigers 0. 63' Scarlets scrum five metres out. @steffevs09 has placed well on the wing and he's over! We head to TMO to check grounding. 62' Scarlets on the attack in their 22. Leicester Tigers penalised for no-arm tackle. 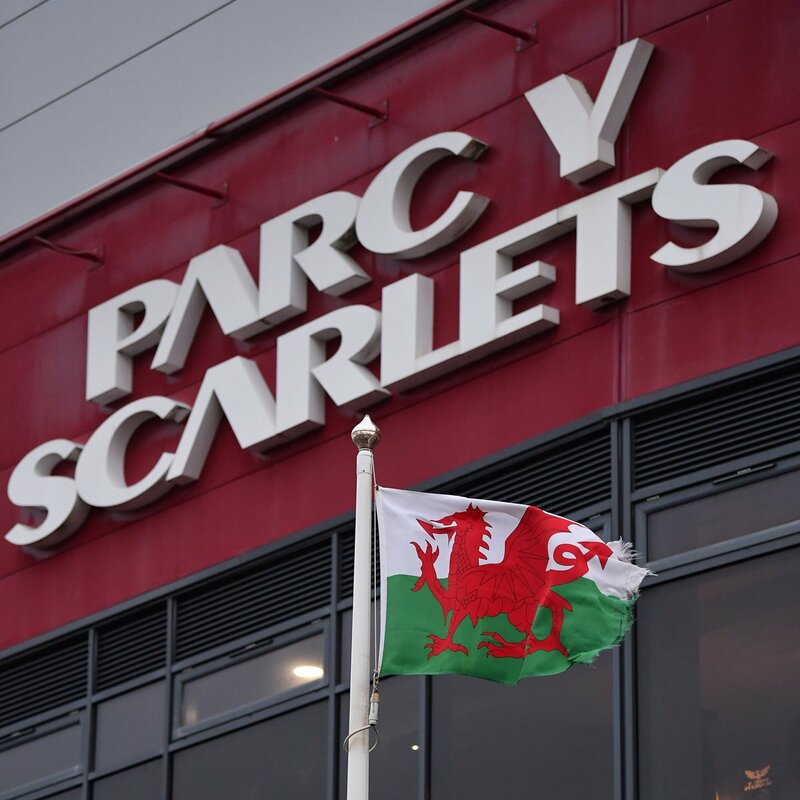 Scarlets yn pwyso'n drwm ar Gaerlyr yn y 22ain. 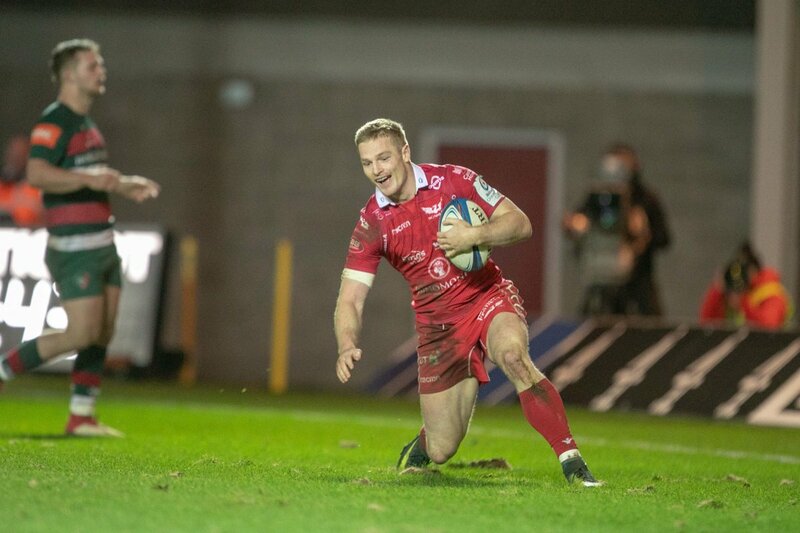 📸 @jmcnicholl crosses for Scarlets' 4th try. Two tries and his work is done! 49' BONUS POINT TRY! @jmcnicholl crosses for the region's fourth try of the evening! 48' @dinky_jones adds the conversion. Scarlets go 19-0 ahead with over 30 minutes remaining on the clock. 46' It's a second try for @Revsprop1! CAAAAAAIS!